Sweden, the birthplace of Melodic Death metal, has produced the most outstanding bands of the genre. Among said bands, we encounter Soilwork, a band that after 20 years remain strong and motivated with the music they made. Travelling the world to promote their B-sides and rarities album ‘Death Resonance’ released on August 19th, Soilwork will land in Bogotá for the first time in their history at Auditorio Lumiere today September 18th. 21 years do not go in vain, especially in the music industry with bands emerging and falling every year for diverse reasons. Soilwork has seen many moons since their start back in 1995 and in the process, the band has produced 12 studio albums, which shows how dedicated this band is to their craft. After building up a fanbase with their first five albums, the most remembered being ‘Stabbing the Drama’, the band decided to explore different genres without leaving the melodic bits. In this process of exploration, the band developed a unique style that has matured over the years resulting in their latest studio album ‘The Ride Majestic’. As the years go by, there is an accumulation of material that has only seen the light of day in the Far East. I am talking about the extra tracks that most Japanese albums contained. This time, Soilwork has deemed it pertinent to gather all these rarities into one album. This album, ‘Death Resonance’ compiles several bonus tracks that were intended for the Nippon fans and created after 2005. As one can imagine, this compilation tracks the evolution of the band until this year, since it also includes two songs that were created exclusively for this album. And what is next for a band like Soilwork? Touring, of course. In the process of creating songs for over twenty years, Soilwork has never been to Latin America, until this month. Their latest tour focused in Latin America and it has gone from Argentina to Mexico. In Argentina and Brazil, the band has excelled in their performance, proving that above all, professionalism is their signature. In the first stop of the tour, in Buenos Aires, Argentina, Björn Strid was sick with a fever but this did not stop Soilwork from performing, even if the setlist was shortened. In Brazil, even with technical problems with the sound halfway through their set, the band responded to the warm welcome of Brazilian fans by keeping the show going. The next stop of Soilwork’s tour lands here in Bogotá, today. After more than twenty years, all the band’s fans that have gathered over the years to find a first-hand opportunity to witness what this musical act has to offer will have their chance at the Auditorio Lumiere. The show is guaranteed to be spectacular as not only the Swedish will bring their A-game, but also because of the national bands that will open the show. Narcopsychotic, a band that has been rising in the local scene with an out-of-the-box live performance will be the first to take the stage. Surviving In A World and Unauthorized will come next to create the atmosphere for the main event. Tickets are available at the venue for $115,000 Colombian Pesos (37 euros). 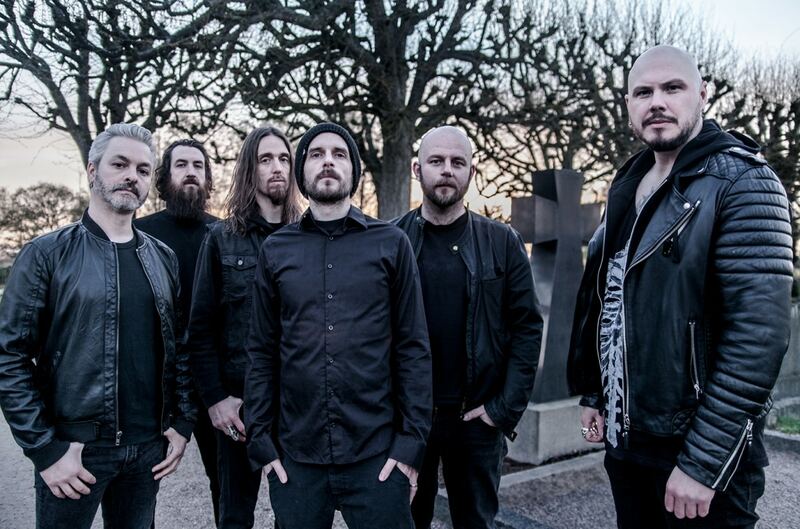 Are you going to get your melodic death metal dosis with Soilwork?